Let’s face it, Amazon’s implementation of Android has to be a sore point for Google. The most popular Android tablet ever, the Kindle Fire, is completely cut off from everything Google has developed to try to integrate and monetize the OS. Is it any surprise that they would want to come out with something in the same size and price range that would blow the Kindle tablet option out of the water? Unfortunately for them, this first attempt at entering the tablet market is going somewhat less smoothly than Amazon’s. 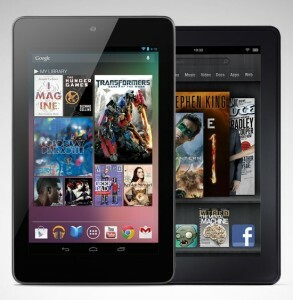 Sources originally reported that a 7” Google tablet costing as little as $150 would be available sometime this May. Running Android 4.0 and powered by NVidea’s Tegra 3 quad-core processor, it was clearly an attempt to show off what a “pure” Android tablet was capable of in this price range. Sadly, we now have news indicating that the design being collaborated on by Google and Asus is running $249 per unit. The inability to keep costs down has brought along a delay until June and may force the elimination of some of the advantages the device was supposed to offer. Prices on tablets are falling across the board. The iPad remains prohibitively expensive for many, but with an option like the $199 Kindle Fire there is still hope. Amazon did an impressive job of putting out dirt cheap hardware with the hope of making money on the resulting media sales and sales tracking indicates that they have been successful. Anybody hoping to compete with Amazon in the 7” tablet market will have to at least match the price they are offering and even then bring something impressive to the table. While the obvious way to bring down costs would be to step down from the expensive Tegra 3 processer, Google is apparently trying to avoid that. This makes sense if they are trying to bring something out that really demonstrates the potential of the Android iteration (5.0 Jelly Bean) due out this June. They have to be forward-thinking and prepare to compete against anticipated Windows 8 tablets as well as the Kindle Fire, so cutting corners on performance would not work well. Does Google have a chance of beating out Amazon? I would say no. The strength of the Kindle Fire isn’t in its power or in its benchmark ratings. Google Play is a step in the right direction, but aside from the App selection (which remains insufficiently moderated at the moment despite recent improvements and any other advantages it may offer) it can’t compare to what Amazon’s store integration brings to the table. We can hope that this delay turns out to be more of a shift in focus than a fumbling attempt to get back on track with the original plan. An Android 5.0 tablet meant to compete against Windows 8 tablets by offering a superior price and experience would make sense and do a lot to secure the future of the OS if implemented well. An overpriced Kindle Fire competitor aimed at a noticeably different segment of the tablet customer pool than the Kindle would just be disappointing. 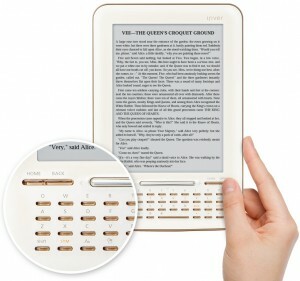 Every few weeks seem to hear something about a new eReader or Tablet PC that is destined to be a “Kindle Killer”. So far, no luck on that. When it comes to the iRiver Story HD, I don’t think anybody is likely to think of making that claim in the first place. That doesn’t in any way mean that it is a device without its virtues, worth taking a look at as a sign of future potential if perhaps little else. Aesthetically, the Story HD looks like a cheap Kindle knockoff. In practice, it still rather feels that way. The Story HD has a cream front with a rather bland brown backing on it, but other than that, as pictured, the similarities are hard to ignore. Sadly, this does not translate to a superior reading experience. The feel of the device is a bit cheap, even without taking the dated color scheme into account. The layout of the buttons is a bit strange, with there being no page turn buttons alongside the display like we are used to seeing in an eReader. Even the directional control lacks a central button to select what you are pointing at. Instead, you are expected to switch to the ‘Enter’ button. On top of this, the QWERTY keyboard as a whole simply feels cheap and unusable. Not huge inconveniences taken by themselves, but the accumulation gets a little bit much. The major saving grace, although not an unqualified success in itself, is the display. It is a significantly higher resolution than the competition(768×1024), and is the first such E INK eReader display to make its way to the US. Text is more detailed and you can fit more on the screen at once, should you be so inclined. It just genuinely looks good, for the most part. Unfortunately, that is not quite enough to make the reading experience a good once. You are given no font choice, no margin or line spacing choice, and the contrast seems poor. The font choice isn’t too big a deal, to me at least, but the default margin that you’re stuck with is basically non-existent and smaller fonts don’t stand out enough compared to the competition. Maybe this is attributable to the light color of the frame, which others like the Kindle have been moving away from, but I didn’t have a white Kindle on hand to compare with. An important thing to remember when looking at the Story HD is that this is not, properly speaking, a Google product and should not be viewed as such. You can get an idea what an implementation of the Google Bookstore is like on an eReader from using it, but this is just the first Google compatible eReader. If you get a chance to check it out, it is important to try to separate the problems with the hardware from the potential in the open platform. While I can’t say that I would recommend picking up the iRiver Story HD over something like a Nook or Kindle, the fact that Google has found its way to physical eReading devices rather than simply offering apps has the potential to finally make it a major contender.